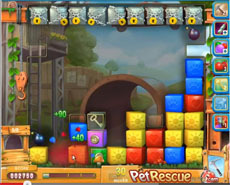 In pet rescue level 425 your first object is to “drive” the key to the bottom of the screen, smash the glass and use it. The best way to do it, is after clearing the blocks under it, where possible (finally you’ll have the key and two different colored blocks under it) clear two columns left of it. With this way the column with the key will be moved two columns left and the key will fall at the bottom and the glass around it will be smashed. After that, you have to rescue the demanded number of pets, which is not such a diffuct task. 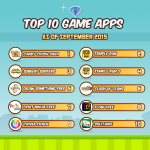 To beat the level, you have to release the key in the first 10 to 12 moves. Otherwise it would be diffult to rescue the 8 pets in less than 30 to 25 moves.